I love the modernistic feel of this shot Carin (Matilda). It’s a beautiful capture with the lights, the lines and the arrow directly in the middle tellings us where to go literally and figuratively. I like the pattern here of the parked cars with their repeated red rear lights (red echoed in that one car at leaving, and in the reflection in the ceiling), and the arrow seems to suggest they could go on forever. Interesting lighting. And the angle makes the ceiling seem very low and somehow heavy. You’ve captured this so as to make the garage feel surreal, even though it’s such an everyday space. I’m claustrophic so undergrounds are never my favourite thing. The light you see on the right is coming in from outside. I would NOT be there if it weren’t an ‘airy’ space. But, yes, I love the way it came out looking quite different than it is. Great grab shot, Carin … Red is a favourite colour choice here and love all the touches of it in this shot culminating in the little red car as the horizon focal point! Always enjoy hearing how you see things, ma’am. The way you break it down. Thank you! 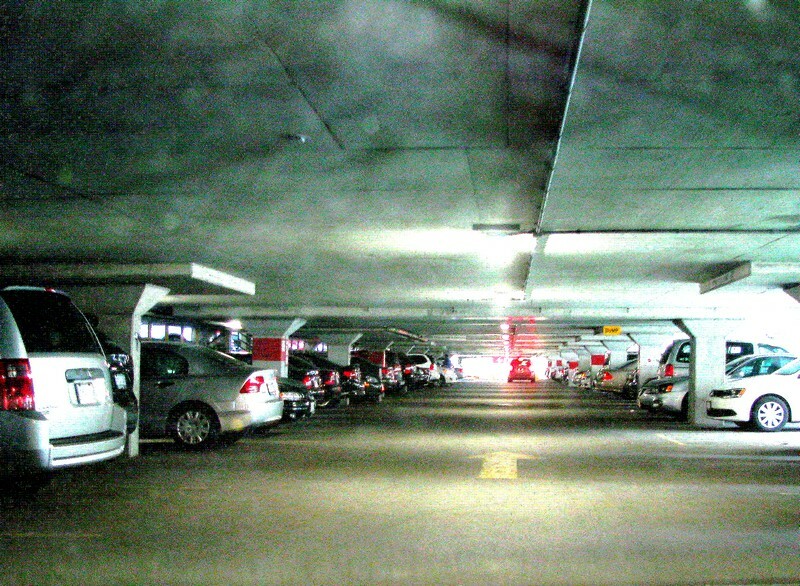 I love the way you’ve made a slightly “mystical experience” out of an underground parking lot (well I assume underground) the impressionistic slight haziness, and the reassuring light at the end of the tunnel. I think Dr. Freud could have a very good time analyzing this and what it says to various viewers. Great shot!